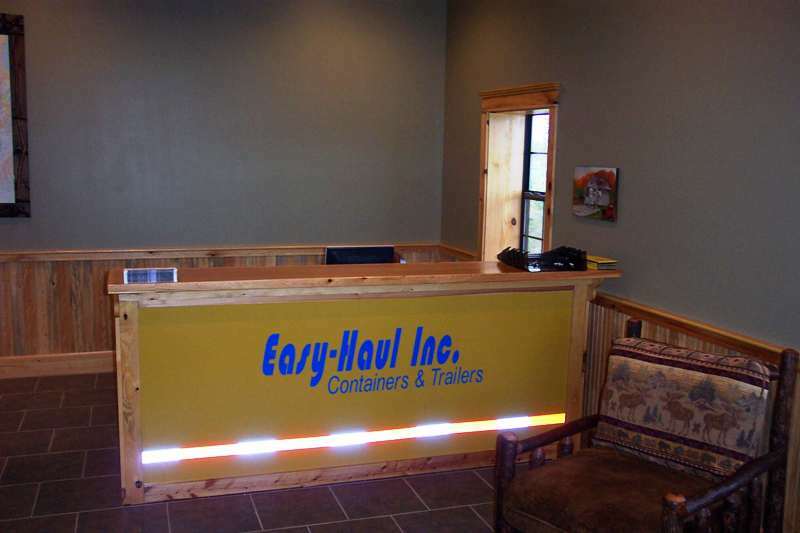 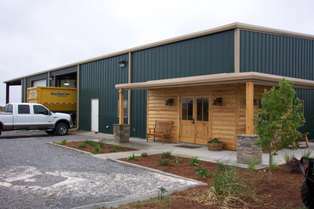 Photo Gallery - Easy Haul, Inc. 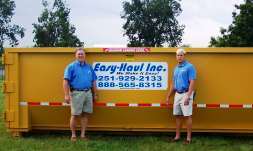 It may seem unique but we enjoy our business. 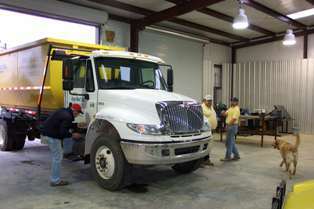 We have a great time meeting new customers and developing strong relationships. 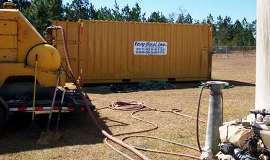 Below are a few pictures of our staff and our equipment in action. Click photo image to view larger version of the picture. 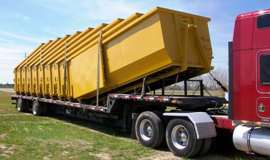 We call them a 25 but they actually hold up to 27 cubic yards. All containers include a large rear loading door. 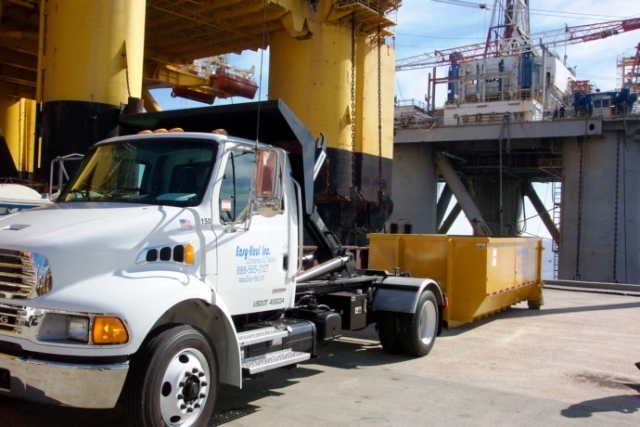 Delivering two waste containers to Transocean Offshore oil rig at the port of Mobile. 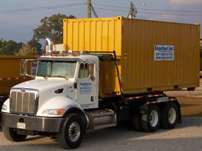 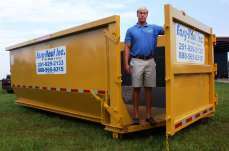 We offer 20′ heavy duty jobsite storage containers. Our roll-off truck delivers to your jobsite and containers are placed to your exact requirements. 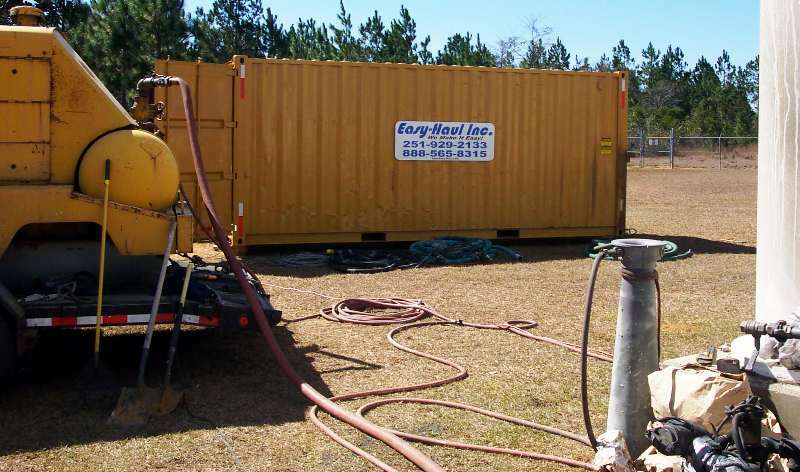 Our 20′ jobsite storage containers are rugged and secure. 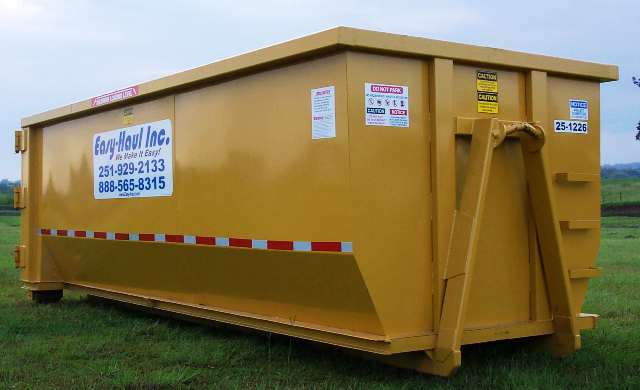 They serve perfectly at any jobsite, commercial or residential storage application. 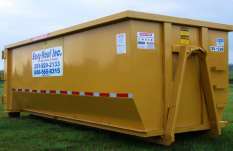 All waste containers include a rear door which allows for easy loading getting the most for your money. 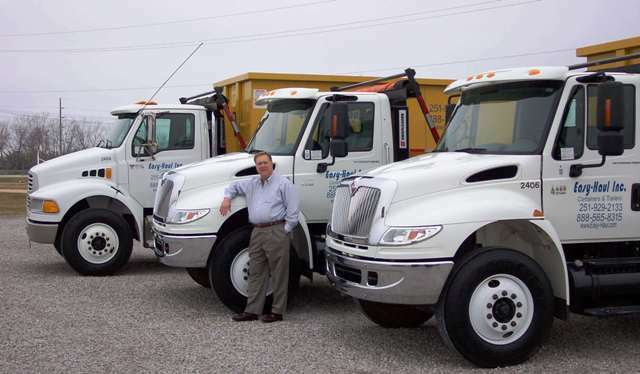 Meet the faces behind the phones when you call for service. 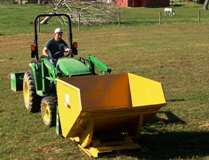 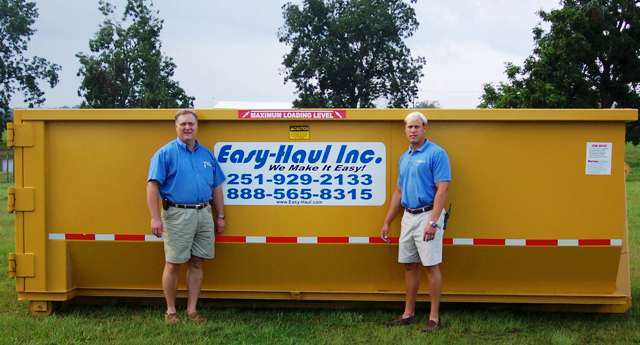 Easy-Haul also offers self dumping hoppers that can be taken just about anywhere for easy loading and unloading. 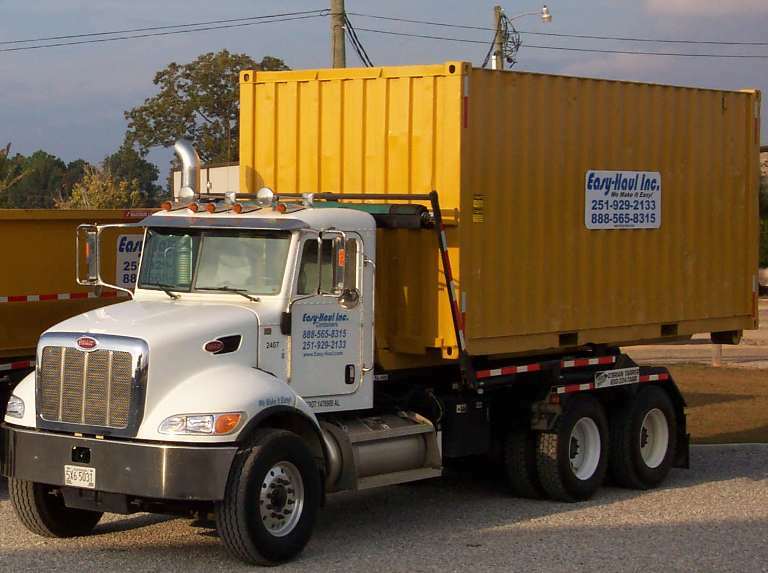 Our owner shows off three of our roll-off trucks that can transport waste containers and jobsite storage containers. 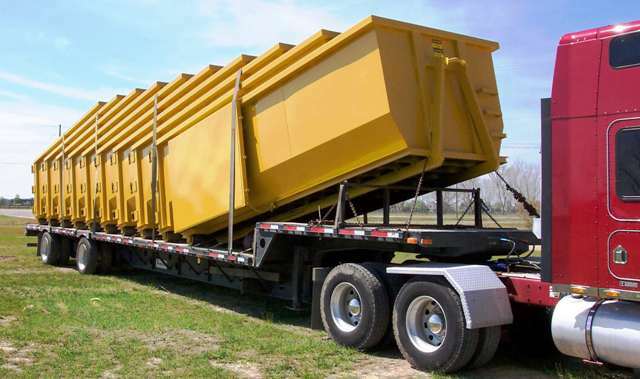 A new load of 27 cubic yard waste containers arrives. 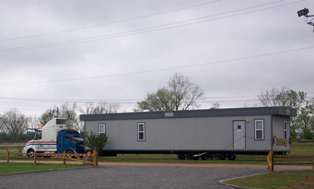 Finally finished, we moved into our new building April 5, 2007. The facility allows us to properly maintain our trucks and containers. We wanted the “lodge look.” The joke from friends is that it looks like a mini Cracker Barrel. But hey, we can take a joke and we are glad to be in it. 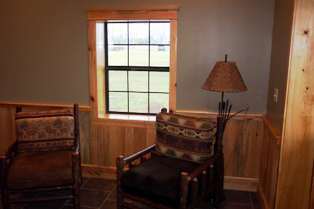 Lodge style decor includes rustic furniture purchased in North Georgia. 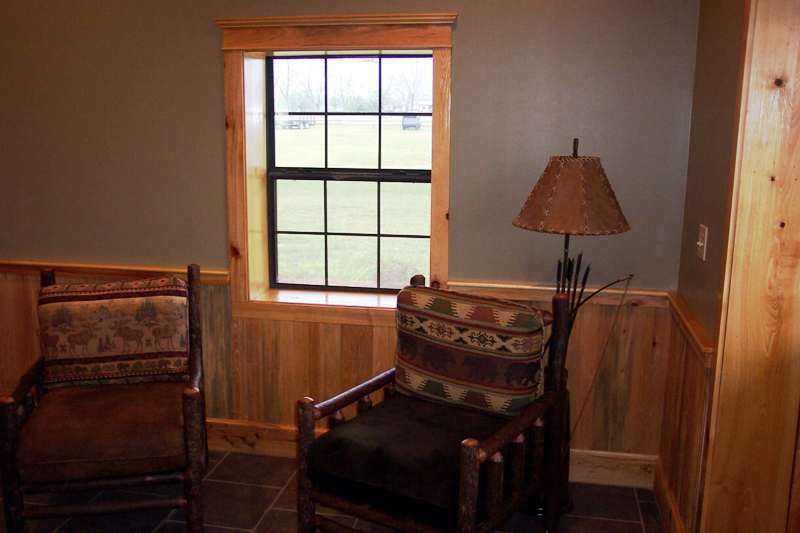 The decor was inspired by visits to Blue Ridge, GA. 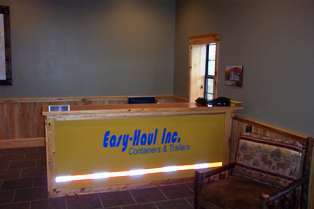 Reception desk built almost entirely of left over cypress, resembles the side of our roll-off waste containers and jobsite storage containers. 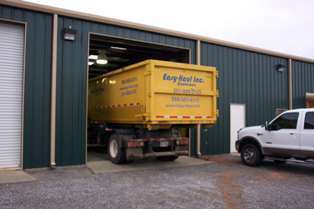 Rusty the lab and other employees appreciate the 2 bay shop where we work to keep those trucks rolling.